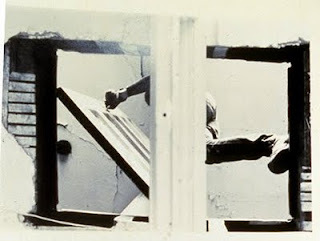 Gordon Matta-Clark took his education in architecture and his lifelong experiences of cutting-edge concept in art and created previously unknown methods and procedures for enacting limited, but highly specific modifications to existing building fabric. He began his inquiry using abandoned buildings around the New York metropolitan area, claiming such structures as his raw material for a new manner of sculpture, something he termed Anarchitecture. 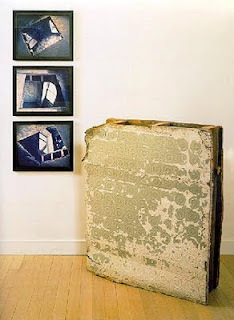 A good example of this practice were his work entitled Bronx Floors: Thresholes of 1972. This intervention is discussed in an article on the Tate Museum's website, "Towards Anarchitecture: Gordon Matta-Clark and Le Corbusier" by James Attlee. He and an assistant entered an abandoned tenement building in the Bronx and selectively removed sections of floor. In the example illustrated, you can see he created a literal "hole" in the floor where one would normally expect a threshold. Matta-Clark loved to play with words and language to extract the maximum referents from his statements. The pun is further emphasized in Matta-Clark's documentation of this ephemeral work by emphasizing the potential danger such an opening represents. 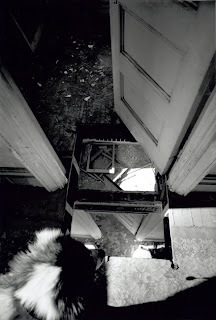 In the image looking down at the floor, a dog stares into the void. In the view looking upward, a figure strides through the doorway and over the gap. His cuts penetrate the floor, wood joists, lath and plaster revealing the construction materials and assembly normally hidden from view. The figure steps from the new edge, reaches for the door knob opening from one room to the next. The expectation of a solid support is undermined creating both psychological and potentially physical danger. Matta-Clark effects a radical experience of space and structure, subverting our fundamental confidence in the integrity and continuity of the floor itself. Matta-Clark extracts the maximum artistic results from his minimal interventions, seeing the actual modifications to the building as a performance, interacting with these new openings, and exhibiting selected chunks of material removed during the course of his excavation into the man-made "earth". Presenting the physical section in the gallery along with photographs of its origin allows viewers the opportunity to contemplate the process of removal and creates a visual and conceptual framework for understanding a piece of urban archaeology. 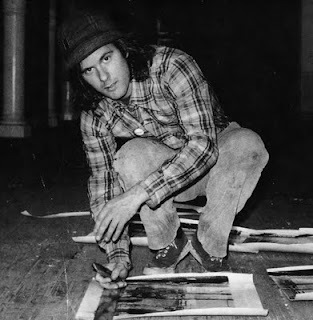 Gordon Matta-Clark at The Pulitzer !